Missing Some Swashbuckle In Your Life? 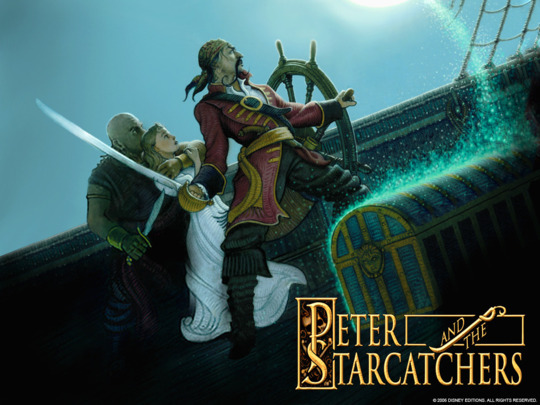 Peter and The Starcatchers to the Rescue! | Fit Family Robinson | The world is your gym. Missing Some Swashbuckle In Your Life? Peter and The Starcatchers to the Rescue! My family decided we would have an adventure/experience filled Christmas this year and spread it out over the entire month of December. My first adventure present for December was a ticket to see a play called Peter and the Starcatcher (be sure and check out my Mom’s note below about getting discount tickets). Before going to the play, I read the book with my family. The book explains how Captain Hook got his name, how an orphan boy becomes Peter Pan and how Hook lost his hand. It is the first book in the series. 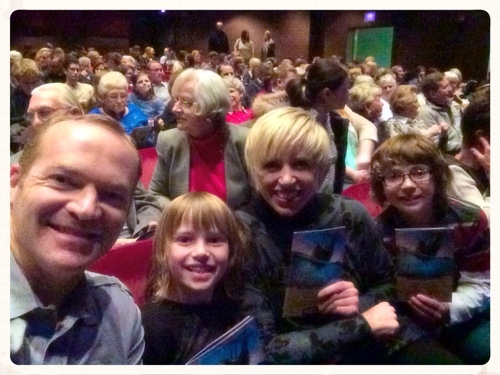 #1 is Peter and the Starcatchers. #2 is Peter and the Shadow Thieves. And there are 3 more. The play was AWESOME and SO hilarious. Only, it wasn’t completely like the book. It still made sense though. It was the best Christmas present ever!!! Slank, is a very evil man who is the captain of the Neverland. He tries to steal the starstuff off the ship. Little Richard is Slank’s partner in trying to steal the starstuff off the ship. He was once a crew member of the Neverland and but now he works with Slank. Black Stache is the captain of the Sea Devil. He is the most evil person in the books, who later on in the 2nd book is known as Captain Hook. Peter was an orphan, who became the greatest hero on the Neverland. He has red curly hair, and ragged clothes. Molly likes Peter. She is called a Starcatcher. She has a golden locket around her neck, which contains starstuff. Leonard Aster is Molly’s father. He is also a very famous Starcacher. He has a golden locket too. He turned a bird into Tinker Bell. Tinker Bell is a fairy that was once a bird who turned into a fairy by starstuff. She does not like Molly. Teacher is a beautiful mermaid who is nice to Peter. Peter and Teacher communicate by thoughts. 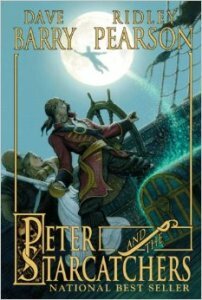 In Peter and the Starcatchers, Peter starts out as an orphan boy that has been sold to go on a ship called the Neverland. There was another ship that was called the Wasp. There was an empty treasure chest on the Neverland and a full treasure chest on the Wasp. But Slank switched them at the last minute before the ships sailed away. Everyone wanted the full chest of starstuff. Molly and Peter met on the Neverland. Molly had a locket of starstuff and tells Peter it can make you fly. They have to use the starstuff to help save the trunk of starstuff from getting into the wrong hands, like Black Stache. They battle pirates, an alligator and Indians. They meet mermaids who can be mean with sharp teeth. But one mermaid, named Teacher is nice to Peter. Peter duals Black Stache in the end, leaving Stache with only one hand. Then Peter gets too much starstuff on him when he almost dies, and this makes him so he can fly anytime and will stay a boy forever. 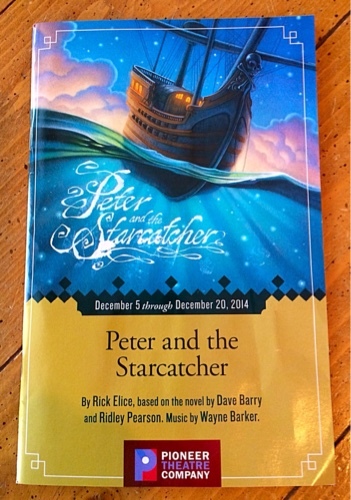 The first book of Peter and the Starcatchers was awesome and so was the play! I recommend them both. And, I’m almost done with the second book in the series, can’t wait to read them all! p.s. MOM’s NOTE: I highly recommend reading this book as a family. It is a funny, andventurous, swash-buckling back-story to Peter Pan. The book kept us all captivated. The play is exceptional as well, especially the 2nd act. It originally won 5 Tony Awards on Broadway. 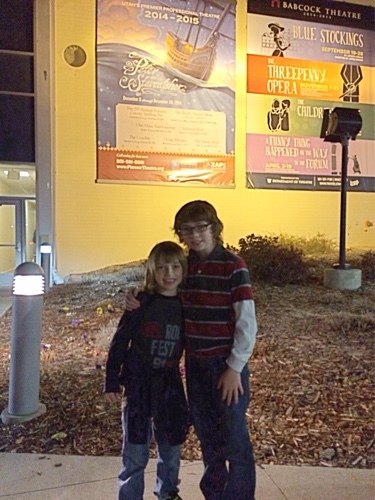 We saw the play at the Pioneer Theatre Company in Salt Lake City, UT. I happen to see in the newspaper an add about the play. They had discount pricing if you came to the first 8 shows of the run (if you book it in advance). In addition, they had half price tickets for kids and students if you came to the play on a Monday night. When I called Pioneer it was the final day to purchase the discounted shows and it turned out that someone (most likely a season ticket holder) had just returned their tickets to switch to another night. So we found 4th row, dead center tickets for only $40 instead of the usual $54. We couldn’t pass it up! Turned out to be a great adventure with our kiddos. They laughed through out the show, especially at Mrs. Brumbake (played by a male character) and Black Stache. It was a delight. 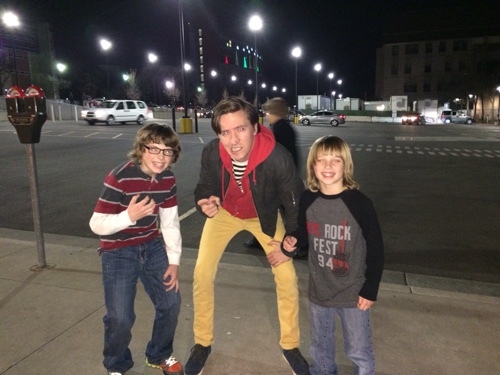 And, they stuck around after the show and got a picture with some of the actors. It made their night. The best part…once we finished the book and watched the play, they could not wait to read the next book in the series. SCORE! I made sure I had already put the entire series on hold for each of them at our local library so they could jump right in. 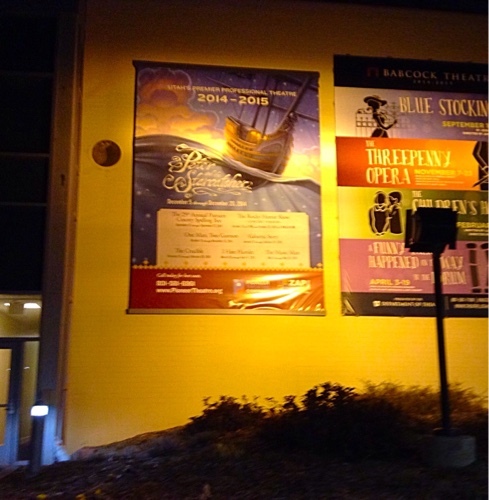 Here is a link to a touring company of Peter and The Starcatcher to check for dates in your area.